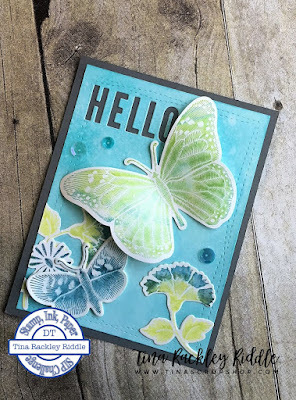 Tina's Crop Shop: SIP #142 Color Challenge - Gray, Aqua and Lime! 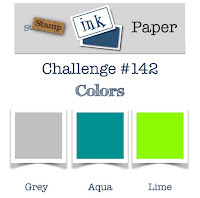 SIP #142 Color Challenge - Gray, Aqua and Lime! Hello and Happy Tuesday! Hope your week is off to a great start! I'm back over with my friends at Stamp, Ink, Paper with my take on a color challenge this week! My goal this week was to use some stamp sets that I have NEVER used! I'm embarrassed to say there are a lot of those never inked stamp sets..... too many!!! So for this card I used a FSJ bundle called Dreams Follow for the butterflies and flowers. The "hello" die is from Concord & 9th's Everyday Bundle. I thought the peek through of the words showing the gray was a good way to bring more of the gray into the card.